Last week, Silversea Cruises revealed to the world the first 7-continent world cruise with the introduction of the luxury line’s Legends of Cruising – 2020 World Cruise. 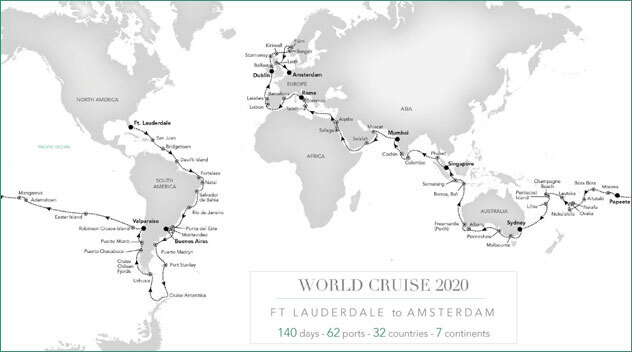 Embarking January 6, 2020, this 140-day itinerary will call in 62 unique ports around the world for a carefully curated collection of shore excursions and expedition-style experiences. 3-day Antarctic experience led by a team of specialists—consisting of marine biologists, a naturalist, geologist and more—to explore penguins, whales, seals and glaciers on a series of Zodiac excursions. Enjoy an exclusive “water dance” ritual on Champagne Beach in Vanuatu, where locals beat the surface of the water during a traditional tribal festival. Relish an outdoor performance by the Perth Symphony Orchestra at the remarkable Quarry Amphitheatre near Fremantle (Perth), Australia. This groundbreaking voyage will sail aboard the Silver Whisper, which accommodates 382 guests in luxurious all-suite style. Plus, Silver Whisper is receiving uncompromising enhancements—part of the line’s massive Project Invictus refurbishment initiative—to top suites, public spaces, the spa, La Terrazza, the Main Bar and more. In addition to the ultra-luxurious Silver Whisper, the 2020 Legends of Cruising World Cruise also involve a fleet of Zodiac watercraft operated by Silversea’s expert guides. These smaller craft will allow for “soft expedition-style experiences” to more remote destinations not accessible by Silver Whisper. Silversea’s 2020 World Cruise starts from $62,000 per guest, which includes roundtrip Business Class airfare, Unlimited WiFi, $4,000 in Onboard Spending Money per suite, a complimentary expedition parka, laundry services, medical services and more! 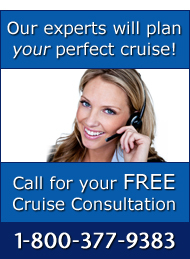 To learn more about Silversea’s world’s first 7-continent World Cruise for 2020, contact one of The Cruise Web’s experienced consultants today at 1-800-377-9383.